(with S. Yan) Spectral Theory of Linear Operators, Press Acad. Sinica, Beijing, (1987), 1-460. (with S. Yan, W. Su and Y. Tong) The Second of Functional Analysis, Press High. Edu., Beijing, (1986). New edition (2009). (with Y.L. Yang) An Invitation to the Theory of Linear Topological Spaces, Sci. Tech. Press Shanghai (1986) 1-321. Spectral Theory of Hypononnal Operators, Sci. Tech. Press, Shanghai, (1981), Birkhauser Verlag, Basel-Boston-Stuttgart, (1983) 1-241. (with S. Yan. Z. Wu and W. Su) Theory of a Real Variable and Functional Analysis, Press Acad. Sinica, Beijing, (1980) 1-448. Measures and Integration on Infinite-dimensional spaces, Sci. Tech. Press Shanghai, (1965), Acad. Press, N.Y., London (1972) 1-425. New edition, China High Education Press, Bejing (2009). (with S. Yan, Z. Wu, and W. Su) Theory of Functions of a Real Variable and Essentials of Functional Analysis, Sci. Tech. Press Shanghai (1956), 1-747. New edition, China Higher Education Press, Beijing (2010). Analytic Theory of Subnormal Operator (in Chinese), China Higher Education Press, Beijing, Aug. 2012; (in English), World Scientific, New Jersey, London, Singapore, 2014. "Analytic theory of subnormal n-tuple of operators," Proc. of Symp. in Pure Math. 51 (1990), part 1, 617-640. "Cyclic cohomology and k-theory associated with difference operators," Rocky Mtn. Jour. Math. 20 (1990), 637-650. "On locally bounded topological algebras," Sci. Sinica 13 (1984), 375-390. "On field strengths and gauge potentials of Yang-Mill's fields,"Acta Sci. Sinica 20 (1977), 145-157. "On the scattering problem concerning indefinite metric or with intermediate system," Acta Math. Sinica 19 (1976), 39-51, 129-143. "Abstract harmonic analysis on the quasi-invariant measures,"Collected Works on Mathematics of Fudan Univ., (1966), 112-130. "On completely non-unitary contractions," Jour. Fudan Univ.10 (1965). "On some properties of quasi-invariant measures," Acta Math. Sinica 6 (1965), 382-392. "Positive-definite functions on commutative topological groups with quasi-invariant measures," Acta Math. Sinica 5 (1964), 369-381, Acta Sci. Sinica 14 (1965), 653-665. "On the quasi-invariant measures in linear topological spaces,"Jour. Fudan Univ. 83 (1963), 273-277. "On the equivalence of a class of Gaussian measures," Jour. Fudan Univ. 8 (1963), 151-161. "On non-normal oprators (I)," Acta Math. Sinica 3 (1963), 232-246. "On conditionally positive-defmite generalized functions," Sci. Sinica 119 (1962), 1147-1168, Acta. Math. Sinica 113 (1961), 193-201. (with L. Fan) "On the parametric representation of quasi-conformal mappings," Sci. Sinica 11 (1962), 149-162. "Measures on functional spaces," Jour. Fudan Univ. 7 (1962), 121-131, 8 (1965), 261-262, Acta Sci. Sinica 12 (1963), 479-494. (with Z. Wu and W. Zhang) "On the semi-group of unitary operators on the indefmite metric space and the conditional positive-definite generalized functions," Selected Works on Science in Shanghai 1 (1960), 28-45. (with L. Fan) "On the parametric representation of quasi-conformal mappings and its applications," Selected Works of Science in Shanghai 1 (1960), 66-99. (with L. Fan) "On the modulus of quasi-conformal mapping,"Sci. Record, New Series 4 (1960),3 23-328. 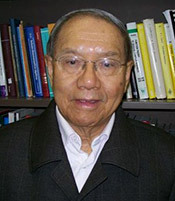 (with S. Van) "On the distributions in the dual space of nuclear space," Collected Works on Mathematics of Fudan Univ. (1959), 413-418. (with Z. Wu and W. Zhang) "On conditionally positive-definite generalized functions of several variables," Collected Works on Mathematics of Fudan University (1959), 437-448. "On semi-normed rings with involution," (in Russian), Dokl. Akad. Nauk, SSSR 124 (1959), 1223-1225, Izv. Adad. Nauk, SSSr. Ser. Mat. 23 (1959), 509-528. "Positive functional on algebras," (in Russian), Dokl. Akad. Nauk, SSSR 124 (1959), 1223-1225, Izv. Akad. Nauk, SSS4, Ser. Mat. 23 (1959), 509-528. "Parametric representation of quasi-conformal mappings," Sci. Record, New Series 3 (1959), 400-407, Jour. Fudan Univ. (1959), 26-44. (with I.M. Gelfand) "On positively defmite generalized functions," (in Russian), Usp. Math. Nauk, SSSR 151 (1958). "The method of variation and Loewner's method in the theory of Schlicht functions," Jour. Fudan Univ. 1 (1958), 30-34. "The minimum of the mean diameters of the Schlicht mappings," Jour. Fudan Univ. 1 (1958), 28-29. (with K. Zhang) "Some inequalities in the theory of subordination," Acta Math. Sinica 8 (1958), 408-412. "Ring of analytic functions," Jour. Furlan Univ. 2 (1957), 352-356. "Typically-real functions on the multiply-connected domains,"Jour. Fudan Univ. 1 (1957), 138-145. "Some covering properties of convex domains in the theory of conformal mapping," Acta Math. Sinica 7 (1957), 421-432, Sci. Sinica 8 (1958), 816-828. "On the radius of superiority in subordination," Sci. Record, New Series 1 (1957), 329-333. "Goluzin's number (3-square root of 5)/2 is the radius of superiority in subordination," Sci. Record, New Series 1 (1957), 219-222. "A shorter proof of Z. Charizynski's theorem," Prog. Math 2(1956), 714-720. "An application of the theory of positive quadratic differential form to the product of mapping radii," Acta Math. Sinica 6 (1956), 583-597. "On the functions univalent in a circular ring," Acta Math. Sinica 6 (1956), 598-618. "Points exterior to the image domains for functions ofstarlikeness as well as of convexity," Jour. Furlan Univ. 2 (1956), 125-132. "On the dual quasi-invariant measures," Acta Math. Sinica 6 (1956), 70-78. The principle of area in the theory of univalent functions I,Jour. Furlan Univ. 2 (1956), 134-145. "A covering theorem of a starlike domain," Jour. Furlan Univ. 1 (1955), 51-54. "On the moduli of some classes of analytic functions," Acta Math. Sinica 5 (1955), 439-454. "The products of mapping radii of non-overlapping domains,"Acta Math. Sinica 5 (1955), 27- 36. "The principle of area in the theory of univalent functions,"Acta Math. Sinica 3 (1953), 208- 212. "On the product of mapping radii for a system of non-overlapping domains," Acta. Math. Sinica 3 (1953), 1-7. "Theorems of distorsion and coefficients of Schlicht functions,"Sci. Record 4 (1951), 351-362. "On the distorsion of Schlicht function," Sci. Record 4 (1951), 209-212. "On the coefficients of Schlicht functions," Acta Math. Sinica 1 (1950), 98-107. 2009: International Conference on Operator Theory and Operator Algebra, Suzhou, China. 2008: Research Institute of Mathematics, Zhejiang University, China. 2008: Research Institute of Mathematics (Chern Institute), Nankai University, China. 2008: Department of Mathematics, Sandong University (Weihai Campus), China. 2008: Conference on Operator Theory (related to geometry), Quianhuandao, China. 2007: Department of Mathematics, Suzhou University, China. 2005: International Conference on Partial Differential Equations and Its Application to Geometry and Physics, Shanghai, China. 2005: SE Analysis Meeting, Lexington, VA.
2004: Chinese Functional Analysis Conference, Shanghai. Third Place Chinese National Prize of Natural Sciences, 1982. For "Functional Integration and Spectral Theory of Operators" (with S.Z. Yan). Fourth Place Chinese National Prize of Natural Sciences, 1982. For "Geometric Theory of Function" (with S.Gung). Elected as academician of Academia Sinica (Science Academy of China), 1980. Zhang, Y:L., Theory of the Quasi-invariant Measures on the Locally Non-compact Groups, 1982. Li, S.K., On the Non-nonnal Operators, 1982. Tong, Y:S., Some New Results of the Spectral Analysis of Linear Operators on the Indefinite Inner Product Spaces, 1982. Aluthge, A., Properties of p-hyponormal operators, 1990. Knisley, J.R., The analytic model of a semi-hyponormal operator with rank one polar difference, 1990. Shirley, K.L., A scalar-valued analytic model for a class of subnormal operators, 1991. Fryd; M, Taylor invertibility for commuting operator n-tuples on Hilbert space, 1993. Burton, D., On hyponormal tuples of commuting operators with fmite rank self-commutators, 1997. Stewart, S.A., Some families of subnonnal operators with fmite ranak self-commutators, 2001.